My friend Becca called me late last week with a surprise...she had just bought two tickets to Evansville's "Peppermint Pops" and wanted to know if I'd like to go with her. 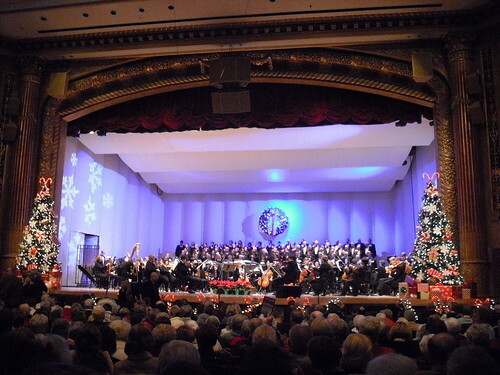 Peppermint Pops features all Christmas music as performed by the Evansville Philharmonic, the Evansville Choir, a children's choir, and always features "celebrity guests" who are originally from Evansville (include one of the original founders of Straight No Chaser!). 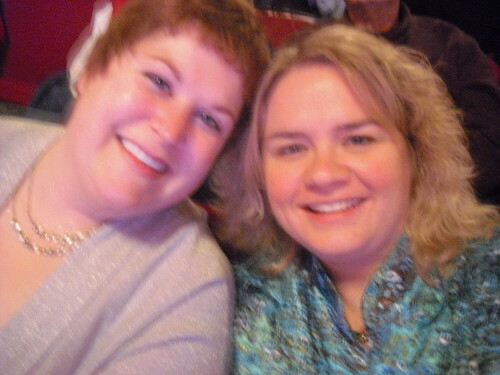 It was such a fantastic show - great performers, great music - and it really got us both in the holiday spirit! It was fun to dress up, enjoy the show, be part of the sing along, as well as catch up with Becca!